I’ve been away from the blog and the community for more than ten weeks now, and it’s harder than ever to come back to it. The plans and schedules for regular posting and reading/commenting on other people’s posts fell short. They started wilting as soon as I put them on paper. To manage at least two of these would be an achievement! Two weeks ago, while running some errands, I stopped by the Books.ba bookshop. I thought it would be a short visit since my only intention was to return a collection of Turgenev’s stories that I borrowed more than two months ago. Last time I was there, their used book stock was disappointingly thin. The category ”used books” no longer existed on their web page so I feared that they were planning to cut them out completely. I found quite a number of wonderful titles, among them Durrell’s Menagerie Manor (for a ridiculously low price) and The Shipping News. When books are cheap, I tend to grab any available title by an author of interest. Particularly when a twentieth-century British woman writer (that I am yet to discover) is in question. I have only read (and loved) the first couple of pages of The Sea, the Sea, but I have read a lot about her writings during my final year at the university. It’s the philosophy of morality that attracted me to her. Looking forward to exploring! The best kind of comfort read – British humor and animals! After reading four of her books I can say I have mixed feelings towards Drabble. If I’m honest, the feelings are slightly leaning on the negative side… Still, my hand automatically reached for this book and I concurred with it. And at last! !… My first Virago Modern Classic! I felt such a rush of excitement upon spotting the green spine that it did not matter which author or which title it was. I am content with it being Stead’s The Salzburg Tales mainly because she is Australian – having it near will be a reason more to build up my laughable knowledge of the literature of that country. When books are cheap, I tend to grab any available title by a publisher of interest… Well, in any case, this is certainly true of Virago. I found a collection of stories, Close Company: Stories of Mothers and Daughters, and decided it’s coming with me. The next day, my sister invited me to a birthday shopping spree and, after purchasing a dress and some flowers for the balcony, we ended up at the Books.ba. Here I lost all my restraint and bought all the books I saw (and put on hold) the previous day. 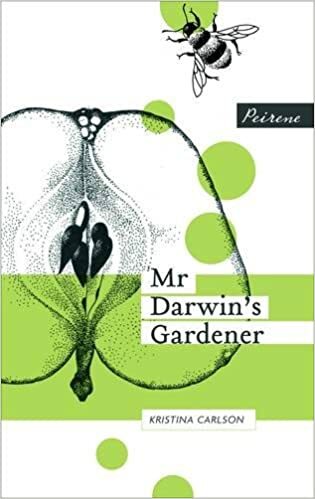 Another Virago… The subtitle offers all the explanation needed. These three books share a connection. I wrote my master thesis on Orlando following my interest in Woolf’s understanding of the art of biography. The Life of Samuel Johnson was the book which she praised and held in high regard, so it was essential to read it as part of the research. Eminent Victorians I haven’t read but always wanted to since it occupies a significant place in the history of biography as well. This one came as a surprise since I did not notice it the day before. Bainbridge belongs to a group of writers I am looking forward to getting acquainted with. I read Master Georgie is brilliant. It’s a classic I knew nothing about. The name was faintly familiar, but nothing else. The time will come to change that. The second book of the serial I am eager to dig into. Now I only have to get the other three! Last but not least, A Gardener’s Guide to Herbs. I dwelled for a long time whether to buy this one or not since information on any possible herb is readily available on the internet at any given hour. However, I prefer having them in a form of a book and so the preference sealed the deal. Great photos, short instructions on sowing, caring for and harvesting 60 herbs; the book also states some culinary, medicinal, cosmetical and fragrance use of these herbs. There are some craft ideas as well. Wonderful! April’s Sarajevo Book Fair was as uninspiring as the previous one. Usually, I visit it on the first day, with Joanna – it’s been our tradition for the past eleven years. This year, however, she had better things to do, and I went, feeling no excitement, two days before closing day with another friend of mine. Digging through a bunch of red ”Reč i misao” (A Word and a Thought) books, I stumbled upon The Golovlyov Family. Karen opened my eyes to Saltykov-Shchedrin’s work when she wrote about The History of a Town. I looked up the existing translations to Bosnian/Serbian/Croatian and learned that there are seven books in existence (which is not a wonder at all). I made a note to myself to pay closer attention when browsing old, used book boxes and shelves. It paid off. I am happily looking forward to reading it. So, in the end, it should be said that I am relatively satisfied with what I managed to get out of the Fair. Next, I need to record the books sent by a dear friend in Malaysia. They have given (and continue to give) me so much pleasure. Just the sight of them is spirit-lifting. It seems that my aversion to reading literature is slowly fading away. If reading heightens your responses, shapes your idea of the world, gives you a sense of the purpose of life, then it is not surprising if, over time, reading should come to play a proportionatelly smaller role in the context of the myriad possibilities it has opened up. [..] Of course there is more to learn, more to read, but whereas, when I was a teenager, each new book represented an almost overwhelming addition to what I knew and felt, each new book now adds a smaller increment to the sum of knowledge. I realized that for the past few years I have been desperately trying to preserve the original strength of this twenty-years-standing reason for reading, that I have been refusing to acknowledge its recent irrelevance. If I remember correctly, it was the summer of 2015 when I started complaining about how I had nothing left to learn. Of course, I didn’t mean literally nothing, but nothing that wouldn’t be ”a [relatively] small increment to the sum of knowledge” that I had… The aversion towards literature that I’ve been experiencing for the last three months had two main roots: a brain strain and the strongest feeling of the pointlessness of reading that I’ve ever felt. Also, I want to give my reading a little bit of direction. I miss that. (Sometimes I think about going back to university.) Acting upon a wish to get (better) acquainted with the literature of the countries outside of the Western Europe and the United States, I am setting on a journey around the world. As I wrote in my rough reading plan for this year, the countries of the former Soviet Union are as good a place to start as any. From the Baltic countries, I will continue southwards to Ukraine, then southeast across the Caucasus, and then head straight east to the ”STANs”, with Russia as the final destination of this part of the journey. I am not setting any deadlines. Still I struggle both with reading and writing. During the previous month I read Barbery and Shakespeare, but without much success or satisfaction. Or joy, for that matter… It’s an expected effect of a lack of interest. I am more inclined towards the first line of reasoning. It’s more sensible as well as healthier. Also, the reasons for the ”repairment” are all completely wrong and ridiculous: a) a faint wish to feel a strong desire to read, b) a thought that I should be reading because there are so many books and so little time, c) a sense of fear that, if I don’t push myself into reading, if I fail to keep the continuity (no matter the quality), I might never want to get back to reading literature again. What rubbish! That I even have to reason against these ”reasons” is annoying enough. There are better things to occupy my mind with, better things to spend my time and energy on. 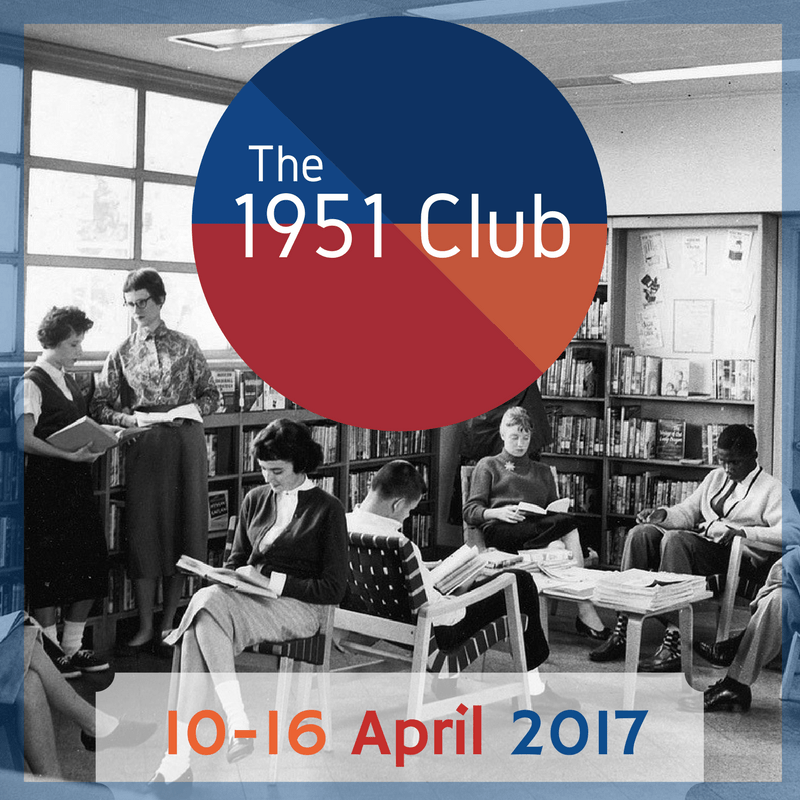 Which brings me to the reason I started writing this post – The 1951 club, hosted by Karen and Simon. My intention was to read Rachel Carson’s The Sea Around Us for the occasion, but in the end, I opted not to. After a quick comparative check of the structure and style of both of these books, Steinbeck’s The Log from the Sea of Cortez seemed to be a better option. I thought it could be more accessible as it’s offering more variety in themes without being too demanding in terms of presence of mind and concentration it requires. The Log combines marine biology, anthropology, sociology and philosophy, and the best way to read it is one entry at a time (one per an afternoon would perhaps be ideal) since they give plenty food for thought. It’s all seamlessly woven in together: collecting reports, observations about animals, accounts of the lives of the small coastal towns in the Gulf, adventures with the Mexicans, anecdotes from the life on the boat, musings on different topics (scientists, technology, sea monsters, teleological vs. non-teleological way of thinking, mutation, cannibalism, to name some). The portraits and sketches of crew members were amongst the most enjoyable parts of the book. The good humor with which Steinbeck brought their personalities to light is infectious. Actually, good humor and wit are dominant characteristics of the narrative as a whole. Steinbeck is very observant, a master painter. I was surprised to learn that Steinbeck’s wife Carol was a part of the crew. Not a single trace of her can be found on the pages. Similarly, Steinbeck’s or Ricketts’ names are nowhere mentioned. The book is written in first person plural so, most of the time a person is referred to as ”one of us” I guess it wouldn’t be wrong to suppose that the person in question is either Ricketts or Steinbeck… A strikingly beautiful eulogy at the end of the book compensates for Ricketts’ absence from the narrative. These little crabs, with brilliant cloisonné carapaces, walk on their tiptoes. They have remarkable eyes and an extremely fast reaction time. In spite of the fact that they swarm on the rocks at the Cape, and to a less degree inside the Gulf, they are exceedingly hard to catch. They seem to be able to run in any one of four directions; but more than this, perhaps because of their rapid reaction time, they appear to read the mind of their hunter. They escape the long-handled net, anticipating from what direction it is coming. If you walk slowly, they move slowly ahead of you in droves. If you hurry, they hurry. When you plunge at them, they seem to disappear in little puffs of blue smoke—at any rate, they disappear. It is impossible to creep up on them. They are very beautiful, with clear brilliant colors, reds and blues and warm browns. We tried for a long time to catch them. Finally, seeing fifty or sixty in a big canyon of rock, we thought to outwit them. Surely we were more intelligent, if slower, than they. Accordingly, we pitted our obviously superior intelligence against the equally obvious physical superiority of Sally Lightfoot. Near the top of the crevice a boulder protruded. One of our party, taking a secret and circuitous route, hid himself behind this boulder, net in hand. He was completely concealed even from the stalk eyes of the crabs. Certainly they had not seen him go there. The herd of Sallys drowsed on the rocks in the lower end of the crevice. Two more of us strolled in from the seaward side, nonchalance in our postures and ingenuousness on our faces. One might have thought that we merely strolled along in a contemplation which severely excluded Sally Lightfoots. In time the herd moved ahead of us, matching our nonchalance. We did not hurry, they did not hurry. When they passed the boulder, helpless and unsuspecting, a large net was to fall over them and imprison them. But they did not know that. They moved along until they were four feet from the boulder, and then as one crab they turned to the right, climbed up over the edge of the crevice and down to the sea again. But, crabs were not the only ones that successfully resisted human advances. The crew struggled with equipment as well (an outboard motor and a camera), and these struggles were a constant source of humor throughout the book. It is impossible to say how bad our moving pictures were—one film laboratory has been eager to have a copy of the film, for it embodies in a few thousand feet, so they say, every single thing one should not do with a camera. As an object lesson to beginners they think it would be valuable. If we took close-ups of animals, someone was in the light; the aperture was always too wide or too narrow; we made little jerky pan shots back and forth; we have one of the finest sequences of unadorned sky pictures in existence—but when there was something to take about which we didn’t care, we got it perfectly. We dare say there is not in the world a more spirited and beautiful picture of a pair of blue and white shorts than that which we took passing Sail Rock. 1. Incredibly lazy, the Sea-Cow loved to ride on the back of a boat, trailing its propeller daintily in the water while we rowed. 2. It required the same amount of gasoline whether it ran or not, apparently being able to absorb this fluid through its body walls without recourse to explosion. It had always to be filled at the beginning of every trip. 3. It had apparently some clairvoyant powers, and was able to read our minds, particularly when they were inflamed with emotion. Thus, on every occasion when we were driven to the point of destroying it, it started and ran with a great noise and excitement. This served the double purpose of saving its life and of resurrecting in our minds a false confidence in it. 4. It had many cleavage points, and when attacked with a screwdriver, fell apart in simulated death, a trait it had in common with opossums, armadillos, and several members of the sloth family, which also fall apart in simulated death when attacked with a screwdriver. 6. It completely refused to run: (a) when the waves were high, (b) when the wind blew, (c) at night, early morning, and evening, (d) in rain, dew, or fog, (e) when the distance to be covered was more than two hundred yards. But on warm, sunny days when the weather was calm and the white beach close by—in a word, on days when it would have been a pleasure to row—the Sea-Cow started at a touch and would not stop. 7. It loved no one, trusted no one. It had no friends. The more I think about it, the more I like The Log. I might be going back to some of the episodes for a dose of light and laughter. The only Steinbeck’s work I read before this was Of Mice and Men. I don’t remember much about it. I mean, I don’t remember if there was humor. It wouldn’t hurt to revisit it. I find it difficult to come back to the blog every time a harsh break in writing happens. It’s even harder this time because I haven’t read a single book for almost five weeks now. I feel completely disconnected. Indifferent. The thought of abandoning this space doesn’t disturb me at all. Current feelings aside (for they shouldn’t be acted upon), in order to make the comeback easier, I am just going to note this year’s purchases. All of the books were bought at Books.ba, the delightful, recently found bookshop, and all of them were written by the authors I’ve never read before. I may have seen the name around, but I certainly don’t remember seeing it. I am talking about Margery Sharp. Browsing Jane’s blog, her post on celebrating Sharp’s birthday caught my attention. The comment section was particularly persuasive, so I decided to give Sharp a go, and join in. After all, one of the aims of this year’s reading is to get better acquainted with British women writers of the 20th century. After some research and consideration, I chose The Innocents. It tells a story about an ”elderly single woman of no position and small means” who finds herself in charge of an intellectually disabled girl. Cecilia, the girl’s mother, comes back to collect her, full of grand but unrealistic plans for little Antoinette’s future. One could draw a comparison with another character named Antoinette – that of Rhys’ Wide Sargasso Sea, (though her story and her character are of greater complexity, of course). Both are unusual, so to say… different. Sharp’s Antoinette is ”an innocent”, a child with a disability, with special needs. Rhys’ Antoinette is neither black nor white enough, and therefore a stranger in her own country as well as in the adopted one. Both are taken or threatened to be taken away from the place they feel most at home, by the people who are failing to understand their needs and personalities. And both are facing a dreadful future. My father was a connoisseur of wine; but times and incomes change and we with them, and now I am a connoisseur of weather. I, obviously, do not know what kind of a person Margery Sharp was, and this is the first of her books that I have read, but I think I would not be wrong in saying that the mentioned qualities were hers as well, that she bestowed them to her character as she did her age. I loved the descriptions of the village, its physical appearance as well as its spirit, its people. 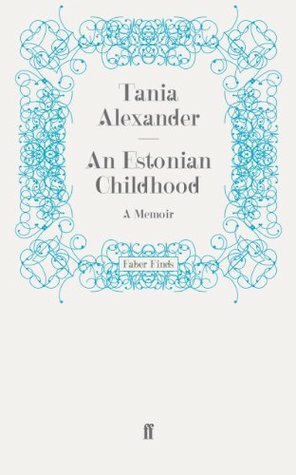 The first part of the novel, which deals with getting to know the child and getting to learn how to meet its needs, is wonderful. (And can be used as a textbook.) Sharp writes well and has a great command over her story. Antoinette appeared neither glad nor sorry to see me back; certainly perfectly incurious as to where I had been. It was as though she had made a final retreat into passivity. Mrs. Brewer reported her good as gold all day, just curled up on her cot so quiet as a carrot. I had often thought that Mrs. Brewer’s similes seemed to spring from quite deep, if unconscious perception. With too much to bear, her last desperate and final escape frustrated, Antoinette was retreating from being a little animal into becoming a vegetable. Wouldn’t it come out stronger if she had stopped at the carrot? If she had let the reader do the math?… The fact that the story is told in the first person narrative makes the elaboration, to some extent, excusable. She does leave one thing to ponder on, though. The plural in the novel’s title.